Are you looking for a professional freight forwarder that will take care of delivering your cargo at affordable rates, quickly and with no problems? We offer cheap cargo and pallet delivery to Germany from the UK. Our freight to Germany services can be provided to both private and commercial clients. Contact us today for free quote. Our UK to Germany freight forwarding services are carried by experienced UK and German freight forwarders that can transport literary literally everything: parcels, boxes, furniture, white goods, palletised freight, engines, car parts, wooden crates, motorcycles, cars or heavy machinery. Sending pallets to Germany is the cheapest way of forwarding your goods, cargo, freight from one country to another. 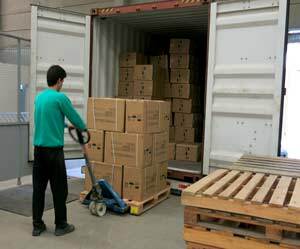 Palletized boxes or products are very easy to load, transport and unload. Express Pallet to Germany services are carried by insured freight forwarders. Contact us today and compare freight to Germany quotes. Find cheap UK and German freight forwarders. Compare freight to Germany companies, services and costs. We offer a full range of local and international pallet delivery services. Our express UK to Germany pallet couriers are highly affordable with the starting price of £100. To ensure that our haulage services provided by the best pallet transport companies are highly reliable, we not only hand pick every freight forwarder, we also monitor delivery performance continuously. We will also help you to save up to 60% on your freight to Germany costs. Our international cargo carriers are reliable and cost efficient. It is very easy to obtain an almost instant pallet delivery quote from us, if you have any freight to send. You only need to fill the quote box provided in our website and choose from our range of pallet delivery services if you have a standard Euro pallet to deliver. But if the pallet you want to deliver is a smaller or a larger one, we will require you to provide some more details for accurate freight to Germany quote. We will calculate the size, weight and provide you with a bespoke quote. The pallet delivery prices that we will provide to you are the best you can get from any UK or German freight companies that you can rely on. If you book pallet collections for local delivery before 11 am, the goods can be collected with the same day. For all other services, you are required to give us a full day notice. Our express pallet to Germany transport option is available at just 1 hour notice - subject to availability. Freight Collection for shipping a pallet to Germany from UK twill take 1or 2 days given that pallet delivery trailers don't operate on daily basis to all European destinations. The transit time can be discussed individually. You should contact UK to Germany freight forwarder before booking if you need a freight transportation that features a pump truck for loading and unloading as all collection vehicles have tail lifts. We offer both air cargo, see freight, road haulage. We collect pallets pallets from anywhere in England, Scotland, Ireland and Wales - London, Bristol, Leeds, Manchester, Warrington, Chester, Nottingham, Sheffield, Newcastle, Brighton, Leicester, Derby, Brighton, Guildford, Cardiff, Glasgow, Perth, Aberdeen, Edinburgh and more. We also offer pallet delivery to Essen from all Europe. Book overnight cargo shipping to Germany within a few minutes. We offer same day pallet collection and next day delivery. Last minute, urgent booking and pallet courier to Germany from the UK is our bread and butter. Simply call us to find out how much is to send a pallet with early morning collection and a timed delivery. Apart from weekends and bank holidays, pallets from the UK to Germany are delivered on all weekdays between 24/7. We provide upgrades for deliveries that are timed. We include one standard pallet delivery. Any other extra delivery attempt will attract re-delivery charge. As it is the case with pallet collection, in case you need a pallet truck to help you with freight delivery, don't fail to contact us before placing your order. Pallet delivery Prices and Surcharges - All surcharges that are applied are included in all our prices. £50 per shipment is the amount per shipment. A free loss and damage cover of £50 is included in our all pallet services. You will be able to purchase top cover to a maximum amount of £20,000 per shipment. We provide a full money-back guarantee for our timed services. If your consignment is not delivered within the specified transit time as a result of service failure, we will give you a full refund. You can also upgrade to a money-back guaranteed service for standard delivery service. Check delivery to Hamburg. As a sending freight to Germany price comparison site, we take pride in providing the services of the biggest pallet couriers across the globe at a 60% more affordable price than you will get if you seek for small pallet shipping to Germany services directly. In fact, our the same day and next day pallet courier services are even cheaper when compared with the prices of a good number of UK to Germany parcel delivery companies. Included in our parcel quotes are all surcharges that are applied. 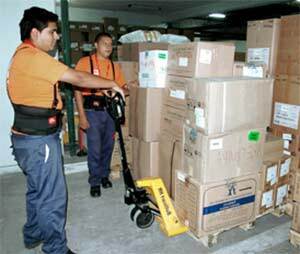 However, it is necessary to know that we calculate the pallet delivery costs of our courier services based on the dimension and weight of the parcel of our client. Fill our pallet to Germany quote price comparison tool quickly so that you will be able to compare the service cost of much courier company so that you will be able to know the cost of sending a parcel and how much you will be saving on that. Get cheap pallet delivery from London to Berlin, Munich, Karlsruhe, Gelsenkirchen, Wiesbaden, Münster, Mönchengladbach, Chemnitz Augsburg, Braunschweigor Aachen. If the pallet you are sending to Germany from United Kingdom is very large, its size may affect the price of sending the parcel. Your pallet charges may also contain additional surcharges. We provide the quotes for delivery based on the weight and dimensions you give. It is therefore necessary that you provide accurate information about the weight and size of your boxes or pallet. The required labels and paperwork that will be attached to your consignment for collection will be provided by our cheap pallet to Germany freight forwarder if you are shipping by air. Pre-printed labels for your heavy or oversized freight shipment will be brought for you to attach to your goods by the collecting driver. If the country you are shipping the consignment is outside of the European Union, you will require custom documents. These documents form part of our pallet delivery booking process and thus, we will produce them to be attached to your consignment before collection. An extra copy will be given to the collection driver. Book cheap man and van for your express pallet delivery to Germany from UK. We also do shipping to Frankfurt. Any urgent pallet shipments can be booked at once and undertaken within just 2 hour's notice. Our drivers can collect your goods first thing in the early morning. late evening or at night. We can send 2 drivers and offer you overnight pallet delivery to Germany. Your cargo will be delivered by our German pallet couriers within 24 hours. We can also provide 48 hours pallet shipping at slightly cheaper price. You are obliged to include custom invoice to your pallet transport when your shipment is going outside of the European Union. With the custom invoice, the UK custom authority will be able to know what your consignment is and why you are sending it. The invoice should contain details of each of the items contained in your invoice plus their worth and reason for export. Tracking is included in most of the pallet deliveries to Germany even though some German freight forwarders do not offer such services. We will provide you with proof of delivery within 2 days from the time of delivery if the forwarder has no tracking facility. If you need door-to-door pallet transport tracking, you should let us know so that we will look for a delivery solution that meets your requirements (your original quote may be affected by this). See removals to Berlin section. It is of crucial importance that you prepare your goods safely for pallet shipping after you have booked your pallet online. This is because the consignment may be exposed to elements of weather and other environmental conditions such as impact and vibrations when they are being loaded and unloaded. 2. Not securing the contents to the pallet with straps. 4. Not checking the custom page of the destination country if they have any prohibitions for wooden pallets. For instance, only fumigated and heat-treated wooden pallets are accepted in Australia. The majority of pallet networks and international freight companies take it for granted that you have a stackable pallet which implies that other consignment can be put on its top during movement. Kindly let us know before booking if you have fragile item and you don't want other goods to be put on it. We can quote you for a non-stackable pallet services. Choose a strong 4 way pallet that is strong and not damaged in any way. Ensure that your packages do not exceed the edges of the pallet by stacking the packages in straight columns. Secure the goods using strapping and corner supports. Secure the items by shrink-wrapping the contents as well as the base. It is better to provide more protection to your consignment whether you bubble wrap, provide protection on top or offer extra corner supports. Ensure that you have a stable pallet and that there is equal distribution of the weight. The pallet can topple over if the weight is not properly balanced. Can you offer packaging materials and wooden pallets? We regret to tell you that we don't provide wooden pallet or packaging materials. However, they are readily available online for purchase. If you need us to put your boxes, engine or other goods on a pallet please let us know. Some of our vans have the right equipment to secure your goods on the pallet. Is there anything that will be placed on top of my goods? 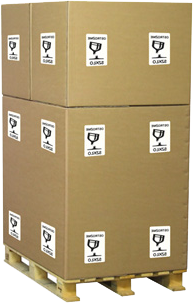 Yes, goods can be placed on top of your consignment because our standard delivery services are for stackable pallets. However, we also offer non-stackable shipments and can provide you with quotes for that if that is what you need. Kindly let our pallet logistics customer care team know about this. We also do man and van to Munich. Do you provide load and unloading assistance? Yes and now! Some pallet delivery vans have no tail lift as most businesses tend to load the pallets on the vehicle. For private customers we may use vehicles that feature tail lifts. In case you are in a need for pump truck for easy movement of boxes and packages in and out of your entrance, kindly let us know on time so that we can make arrangement for that before the collection time. What if my goods exceed the edge of the pallet? If your consignment overhangs the sides, they may be considered a double pallet and you will be charged accordingly. Besides, we advise that you make sure that they not go beyond the edges of the pallet because it will make your goods vulnerable to damage. For cheap pallet delivery to Germany make sure your goods do not exceed the following dimensions 120cm wide and 80cm long. See more for parcel to Germany. What freight companies do you make use of their services? We only make use of the services of the best UK to Germany pallet haulers and freight forwarders in order to deliver reliable and quality cargo transport services to you. Are regular shippers given discounts? Yes, we provide discounts to regular pallet shippers but they are only for regular senders that register with us. They are entitled to 10% on regular pallet shipping. Contact us today to find out how much it would be to send a pallet to Germany from UK. What is the limit to the weight and length of Items I can ship in a single pallet? The maximum weight of item that you can ship on a pallet to Germany is 1000kg and that of length is 2.4 meters. You will be charged addition fee for length that goes beyond 1.2 meters. 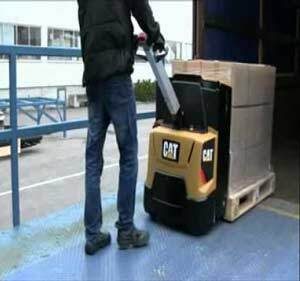 Get cheap pallet removals to Germany. Average pallet delivery costs to Germany are £130 + VAT. Are you able to ship large and heavy items that are not put in pallet? With are expertise, we are able to ship large and heavy items as well as awkwardly shaped items that are not more than 270 cm in length or that do not weigh more 50 kg whether they are palletised or not. Do your offer both courier and freight services? Yes, we offer a full range of freight forwarding services locally and abroad for both express and economy pallet shipping services. You only need to enter your shipment information in quote box in the home page of our website in order to obtain quote and compare prices via the internet. Are your freight providers eco-friendly? We care about the environment and we always aim at protecting it by supporting low carbon initiatives. In keeping with freight policy of the government to encourage low emission freight providers, we established a business relationship with haulers whose environmental policies are more advanced and progressive. Compare pallet delivery couriers and freight forwarders. Find a cheap freight forwarder to Germany from UK. Send palletized goods, engines, boxes, machinery, wooden crates, motorcycles, your company products and more. We also do offer man and van Cologne.